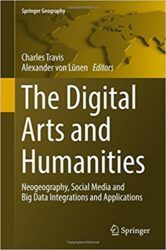 Humanities-based research has increasingly become more computationally focused, where topics of text analysis, digital reconstruction, networks, and spatial analysis have been among the key research areas. A recent edited volume by Crompton et al. (2016) demonstrates how spatial-based digital humanities has become one of the primary focus areas for many different types of humanities scholars. While some of the work is quantitative-based, other work has been qualitative. One area, for instance, has been understanding historical data, such as major events or historical development, based on spatial analysis. In fact, this has given rise to spatial history as a large area within historical research, where many key actors, events, and timelines are interpreted through spatial relationships. 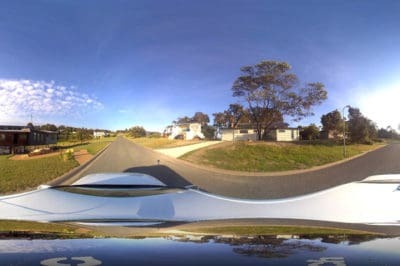 What has attracted so many digital humanities experts to applying GIS is its applicability to quantitative and qualitative types of research that have include recording digital narratives, doing document and spatial analysis, and documenting different perspectives of interviewees’ using spatial approaches. Overall, looking at one website that documents GIS-based humanities projects, one can see the dominance of historical-focused research projects. For many of the historical research projects, work has not only focused on older history, but even contemporary culture and history has become one key area of focus for digital humanities and GIS. Issues being researched in this area include: ontological representation and expression in maps, how digital representation of place is expressed, what representations are expressed by different types of authors, and what types of digital content, including placed-based photographs, are applied to mapping and historical expression. Text analysis has been another major focus area of digital humanities. Some studies have attempted to focus on historical or account narratives using natural language processing, including topic modeling and sentiment analysis, while integrating spatial analysis that investigate where narratives focused on and how spatial perspective may have shaped accounts of places. 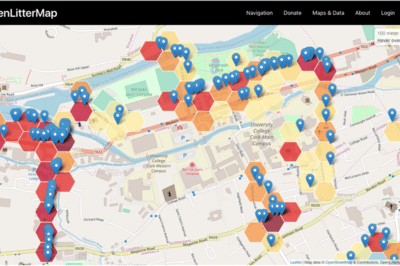 An example of research using text analysis and GIS. Maps showing distribution and density smoothing maps for beautiful, picturesque, and sublime. Donaldson, Gregory, & Taylor, 2017. Challenges and increasing research areas identified in digital humanities include how to incorporate the variety of media, whether various web content or social media, within spatial and data analytical approaches. For instance, natural language processing of data from sources such as Twitter and applying spatial analysis of tweets is one area where research have to face the challenge of dealing with large amount of data, but that data that data are often biased in terms of who tweets and the audience using and applying this digital content. The Neogeographic school and digital humanities have increasingly looked at these topics as a way to better understand how spatial approaches could be applied to more traditional research areas such as text analysis and geography. Responding to what was an initially an ad hoc approach to digital humanities, academic departments have developed formal training for humanities-focused scholars and computational experts in the growing area of digital humanities. Universities in the UK, in particular, have been leading in this area, such as University College London and Kings College, where formal digital humanities departments and research centers exist, while other universities have provided academic networks and support (e.g., Oxford). In the United States, Digital humanities are often treated within more traditional departments in the humanities. This is comparable to how GIS is taught in the United States, where often GIS is a part of academic fields, such as being taught within geography departments, while then being applied to other areas such as within the humanities. Many jobs in digital humanities have been in academic departments, although foundations and some corporations are beginning to hire digital humanities experts, including those with GIS backgrounds. Areas of increased focus have included technology officers in firms, digital marketing, digital support officers, spatial analysts, and librarians. The challenges of providing adequate employment opportunities for graduates were a key focus in a recent volume on the role of digital humanities in today’s world. Overall, for Digital Humanities to thrive in the coming decades, it will have to face this challenge of expanding its areas of applicability beyond mostly academic areas. 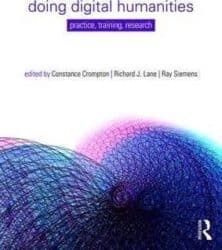 For more on Crompton et al., see: Crompton, C., Lane, R.J. & Siemens, R.G. (2016) Doing digital humanities: practice, training, research. 1st edition. New York, NY, Routledge. For more on GIS and types of research in the humanities and wider digital humanities, see: Jones, S.E. (2014) The emergence of the digital humanities. New York, Routledge. The Anterotesis website listing digital humanities projects can be found here: http://anterotesis.com/wordpress/mapping-resources/dh-gis-projects/. For an article about using time and space to understand contemporary history, see: Pavlovskaya, M. (2016) Digital Place-Making: Insights from Critical Cartography and GIS. In: Charles Travis & Alexander von Lünen (eds.). The Digital Arts and Humanities. Cham, Springer International Publishing. pp. 153–167. For an example of research using text analysis and GIS in digital humanities, see: Donaldson, C. E., Gregory, I. N., & Taylor, J. E. (2017). Implementing corpus analysis and GIS to examine historical accounts of the English Lake District. In P. Bol (Ed. ), Historical atlas: its concepts and methodologies. (pp. 152-172). Seoul: Northeast Asian History Foundation. For more on the challenge of big data, spatial analysis, and digital humanities, see: Anon (2016) The digital arts and humanities. New York, NY, Springer Berlin Heidelberg. 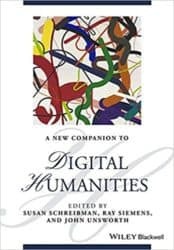 For more on employment and digital humanities, including in the use of GIS, see: Susan Schreibman, Raymond George Siemens, & John Unsworth (eds.) 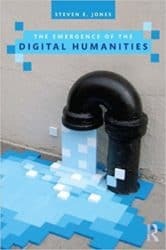 (2016) A new companion to digital humanities. Chichester, West Sussex, UK, John Wiley & Sons Inc.
Springer International Publishing, 2016, ISBN: 978-3319409511, 204 pp. Wiley-Blackwell, 2016, ISBN:978-1118680643; 608 pp. Routledge, 2016, ISBN: 9781138899445; 444 pp. Routledge, 2013, ISBN: 9780415635516; 224 pp.